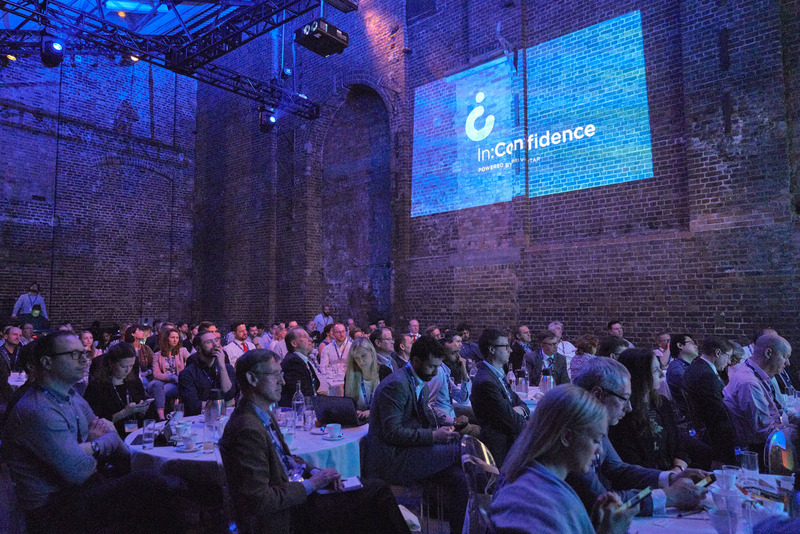 On the 19th of April 2018, in London, Privitar held the inaugural In:Confidence TM event - a day of talks and panels focused on how privacy can be an enabler for innovation, operational efficiency, and for building customer trust. 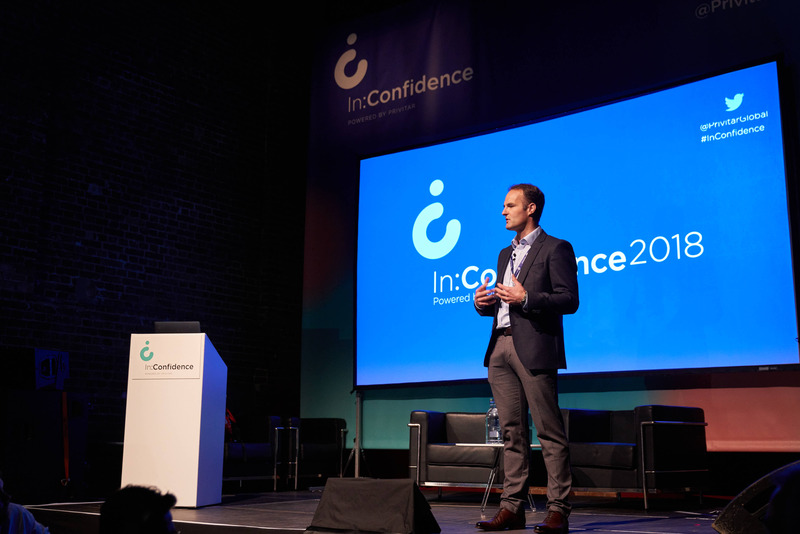 On the In:Confidence stage, the industry-leading line-up of speakers and panelists deliberated over the apparent loss of trust in data companies, the dangers of democratising data and powerful analytics tools, and the importance to the data science community of winning back consumer confidence. You can access all the available content from the day below. 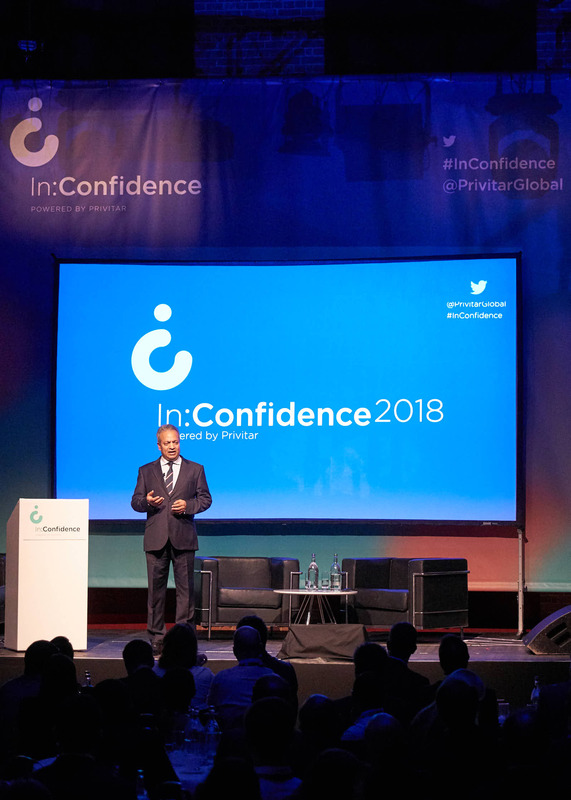 All these talking points and discussion topics are summarised in the downloadable In:Confidence 2018 - Event Insights brief. 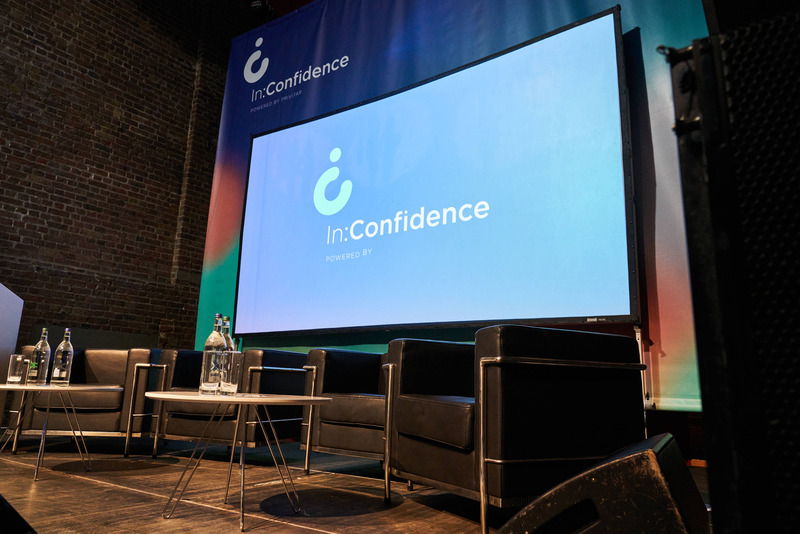 Stay tuned for updates and register your interest for In:Confidence 2019 here below! 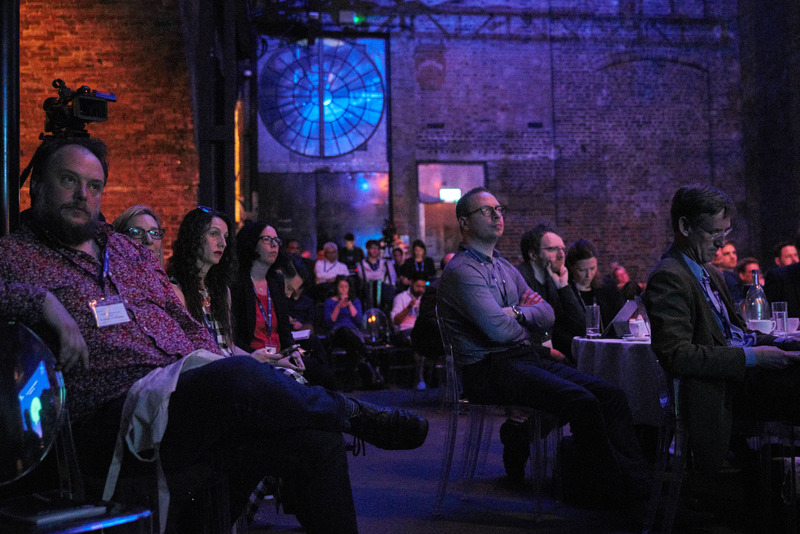 A regular TED speaker, Tim also looks at why it’s so hard yet so important to learn from mistakes, how to deal with uncertainty, how forecasting works and what to do when it doesn’t, and what innovation really means and why the wrong sort of innovation can be a distraction. At 23, Chris was recruited by SCL Ltd as Head of Research to assist in developing military ‘information operations’ to be deployed on what is termed the ‘fifth battlescape’ of information. While here, he was introduced to Steve Bannon and Robert Mercer. These meetings led to the creation of the now disgraced data firm Cambridge Analytica, envisaged as the ‘propaganda machine’ that could win the 2016 US Presidential elections for Trump. 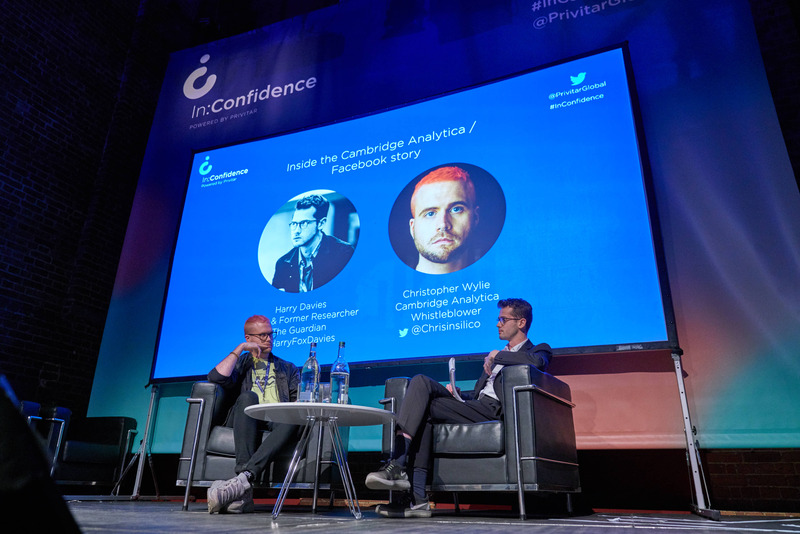 Chris bravely blew the whistle in March 2018 on Cambridge Analytica to put an end to a machine he helped create. As reported in The Observer “Cambridge Analytica is “Chris’s Frankenstein. He created it. It’s his data Frankenmonster. And now he’s trying to put it right. Azeem Azhar is a strategist, analyst, product entrepreneur, influencer and writer with a passion for all things technological. Azeem is also a Senior Adviser of Artificial Intelligence to the CTO of Accenture. Azeem runs the very popular newsletter on the societal implications of technology called Exponential View which has garnered more than 24k subscribers including investors, academics, and journalists around the world. Up to recently Azeem was also the Vice President at the global media company Schibsted Media Group. Previously, Azeem has been an award-winning entrepreneur, backed by VC, with a successful exit; an investor in many tech startups, especially in the AI sector; held corporate strategy roles at Reuters and the BBC. Azeem has spoken on TV and radio (BBC, Sky, CNN, amongst others), FT Columnist and lectured or spoken at LBS, Harvard, TechCrunch, WHU Founders Conference, Medialaan, Deutsche Telekom and dozens of other places. In 2017 Azeem was accepted onto the editorial board of the Harvard Business Review. Harry Davies is a writer based in London. He previously worked for the Guardian as a researcher on its investigations desk, where he worked on a series of high-profile investigations. 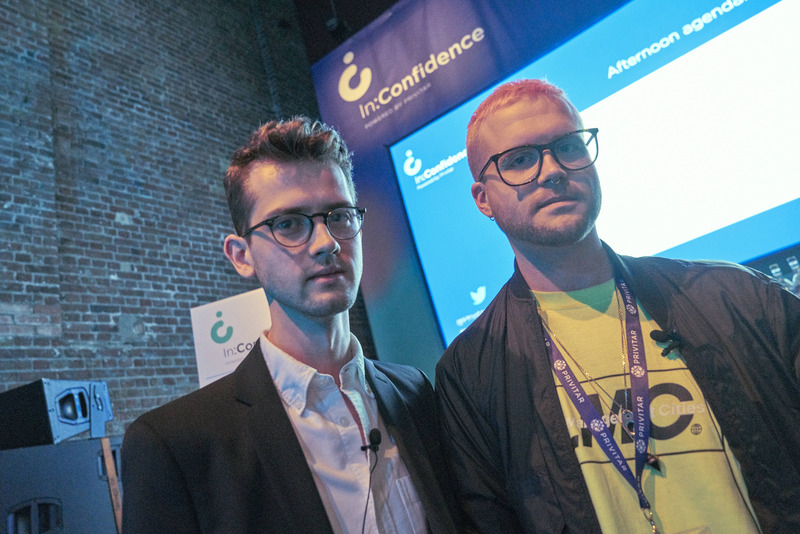 In December 2015, he first uncovered the privacy breach at the heart of the Cambridge Analytica affair. He is currently under commission to write a play for HighTide; working on freelance reporting projects, including for the Guardian; and working as an associate producer on the development of a major new television drama. In the theatre, Harry has worked on the research and development of several plays at the Donmar Warehouse in London, including Privacy by James Graham, a documentary play about surveillance featuring Edward Snowden, and on subsequent productions of the play in New York and Mexico City. Elsewhere, he's worked on investigative projects for BuzzFeed News and on the development of a forthcoming feature film for Working Title and Focus Features. He studied at Goldsmiths, University of London. 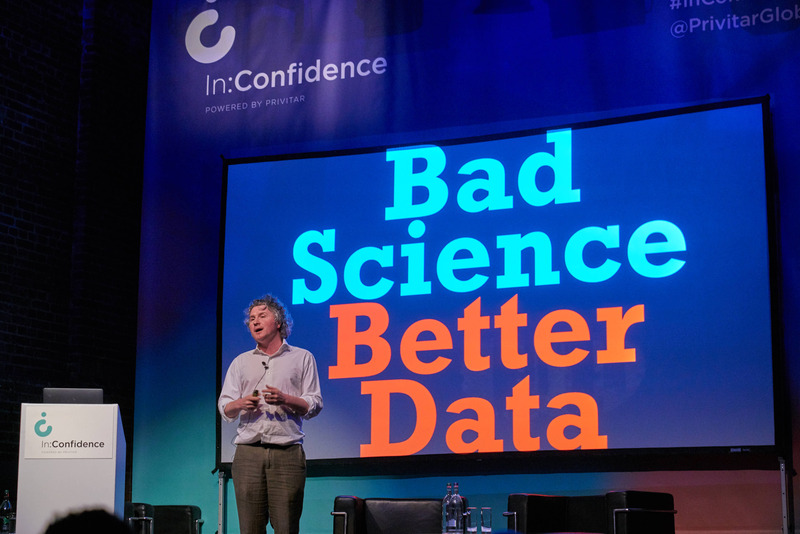 Ben Goldacre is an award-winning writer, broadcaster, and medical doctor who specialises in unpicking scientific claims made by scaremongering journalists, government reports, pharmaceutical corporations, PR companies and quacks. He was trained in Medicine at Oxford and London, and currently works as an academic in epidemiology. Ben wrote the weekly Bad Science column in the Guardian from 2003-2011. BAD SCIENCE the book (4th Estate) has sold over half a million copies worldwide, reached #1 in the paperback non-fiction charts, and is being published in 31 languages. In his second book, BAD PHARMA (4th Estate, September 2012), Ben puts the $600bn global pharmaceutical industry under the microscope, to reveal flaws throughout the ecosystem of evidence based medicine. In October 2014 he published his collected journalism in a volume entitled I THINK YOU'LL FIND IT'S MORE COMPLICATED THAN THAT (4th Estate). 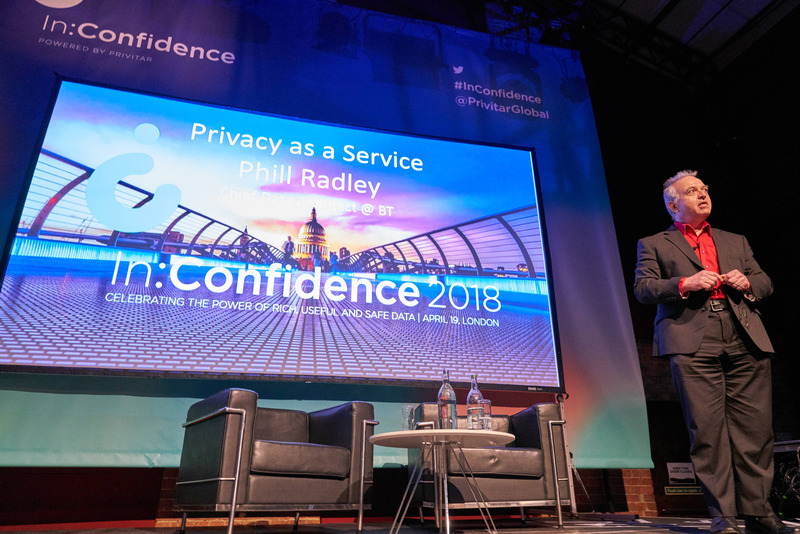 Phill Radley is a physics graduate with an MBA who has worked in IT and the communications industry for 30 years, mostly with British Telecommunications plc. He is Chief Data Architect for BT at their Adastral Park campus in the UK. His previous roles in BT include nine years as Chief Architect for infrastructure performance management solutions, from UK consumer broadband to outsourced Fortune 500 networks and high-performance trading networks. He has broad global experience including BT’s Concert global venture in the US and five years as Asia Pacific BSS/OSS architect based in Sydney. Jeni Tennison is the CEO of the Open Data Institute. 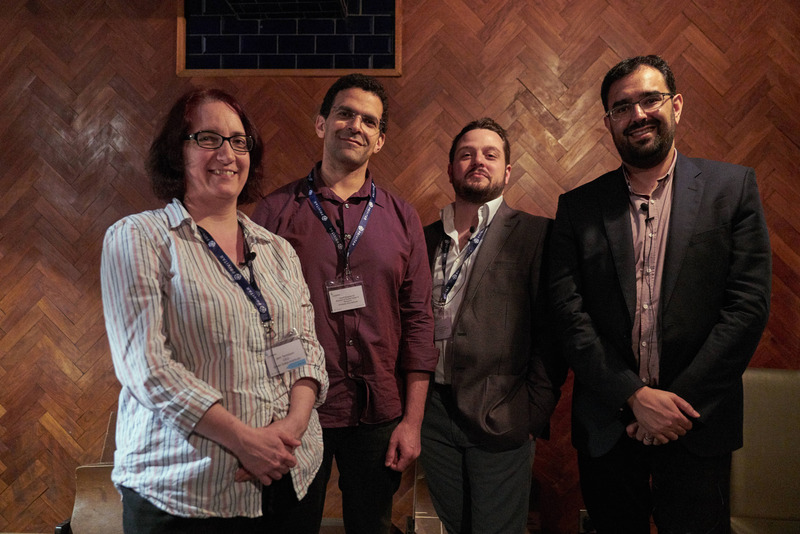 She gained a PhD in AI from the University of Nottingham then worked as an independent consultant, specialising in open data publishing and consumption, before joining the ODI as Technical Director in 2012 and becoming CEO in 2016. JP Rangaswami is the Group Chief Data Officer and Group Head of Innovation & Digital Strategy for Deutsche Bank. As Group Chief Data Officer, a position he has held since January 2015, he is responsible for enhancing the bank’s data quality and controls. He is also responsible for driving closer collaboration with the innovation community to accelerate the adoption of emerging technologies to enhance service to clients and internal processes. Prior to joining the bank, JP was Chief Scientist at Salesforce.com where he drove forward the business’s products and social service innovation capabilities. He has previously held senior IT positions at a number of leading multinational organisations including BT plc and Dresdner Kleinwort Wasserstein. Originally an economist and financial journalist, JP has 35 years of experience in information technology, primarily in the financial sector. JP is an adjunct professor at the Electronics and Computer Science department of S.V., Fellow of the British Computer Society, a Fellow of the Royal Society of the Arts and a Trustee of the Web Science Trust. An experienced facilitator, George has worked with a huge range of companies including Sony, Adobe, Retail Week and HP. As a speaker, Georgie's topics revolve around social media trends, digital transformation, employing and motivating millennials and women in tech. A true expert in technology, she can turn her talks to a range of tech-related subjects. George Danezis is a Professor of Security and Privacy Engineering at the Department of Computer Science of University College London, and Head of the Information Security Research Group. He has been working on anonymous communications, privacy enhancing technologies (PET), and traffic analysis since 2000. He has previously been a researcher for Microsoft Research, Cambridge; a visiting fellow at K.U.Leuven (Belgium); and a research associate at the University of Cambridge (UK), where he also completed his doctoral dissertation under the supervision of Prof. R.J. Anderson. His current research interests focus around secure communications, high-integrity systems to support privacy, smart grid privacy, peer-to-peer and social network security, as well as the application of machine learning techniques to security problems. He has published over 70 peer-reviewed scientific papers on these topics in international conferences and journals. Sherif Elsayed-Ali is director of global issues and research and Amnesty International. He is responsible for the organization’s research and advocacy on a number of global issues including the impact of technology on human rights, corporate responsibility, the arms trade, the death penalty, refugee and migrants' rights, and economic and social rights. Sherif previously established Amnesty’s technology and human rights program and the organization’s artificial intelligence and human rights initiative. He focuses on the opportunities and threats of new technologies for human rights. Sherif studied engineering and international law at the American University in Cairo and has a master in public administration from Harvard Kennedy School. With a long-lasting (and quite obsessive) passion for data, Olivier strives to help organizations across EMEA, public and private, big and small, to make the most of data, to comply with data-driven regulations, to fuel innovation with analytics, and create value from their most valuable asset: data. As a public speaker, business leader and trusted advisor, Olivier enjoys providing strategic guidance, sharing best practices, and experiences in using Data Governance as a catalyst for digital transformation. Olivier has an engineering degree in Human-Computer Interactions with a minor in Philosophy, Technology, and Cognition. He is currently leading the EMEA Data Management group at SAS Institute. Sanjeev currently leads Accenture Security’s financial services practice in the UK and Ireland (UKI). He is responsible for growth and management of the business. Sanjeev is also responsible for applying cognitive and process automation and machine learning in Accenture’s Security business to create innovative offerings and market differentiation. Sanjeev has conceptualised and led many transformative innovations, which are widely adopted by clients globally and recognised by industry analysts. Previously, he also performed innovation lead role in Accenture’s communications industry business. Sanjeev also holds a patent in robotics process automation. Following a brief foray into teaching switched professions and joined the Systems Graduate program with JPMorgan. Spend the next 20 years working across a range of technologies notably Web and Middleware and moving inevitably into management based in the UK and the Far East. Now working as an independent contractor with HSBC leading their Data at Rest Security team globally. Andrea Mestriner has nearly 12 years of knowledge in the ecommerce domain spanning between Technology, Product Management and Data Analytics. After setting his start-up in the US on product recommendations, Andrea joined Expedia Group in 2009 after the acquisition and there he covers roles in Platform Technology integration, Product Management (both customer and supplier focus) and finally in website and mobile apps optimisation where he had an active part in building the data platform to enable a fast integration of various datasets from the different tools used to monitor customer feedback, customer experience, website/apps performance to identify “frictions” to purchase and increase revenue and customer satisfaction. During this time, he cultivated his interested in customer and marketing analytics and the need to apply a growth mindset to that domain. 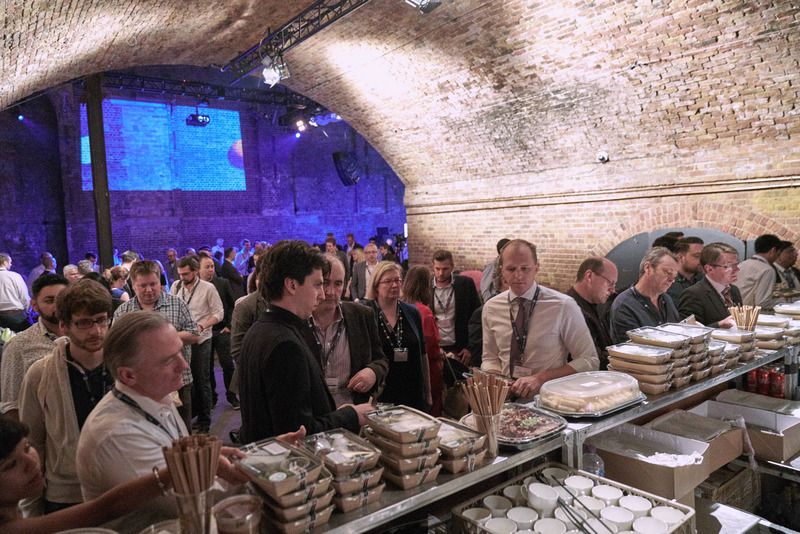 He currently held the role of Head of Data Analytics, Visualisation and Experimentation with Just Eat where he has built a team of 24 people in charge of covering from a global perspective all analytics needs, visualisation tools and best practices and the centre of excellence for experimentation. He is also involved in the migration of Just Eat to a better data platform setup to enable democratisation of data and empower not technical and analytical people to make data-driven decision without support. Ellis Parry started his career as a solicitor in private practice before joining AstraZeneca pharmaceuticals in 2001 as a specialist IT lawyer. Parry became AstraZeneca’s Global Privacy Officer in 2005, leaving to join BP as its Global Lead for Data Privacy in December 2010. At BP, Parry is responsible for devising and implementing BP’s global approach to personal information handling, including the maintenance of BP’s Binding Corporate Rules, GDPR change and the principle of ‘accountability’ made explicit in the GDPR. Parry has an MBA. In 2017 Parry spoke on the topic of big data and AI and is a contributor to Jay’s “Data Protection Law and Practice” (3rd and 4th editions). As Chief Executive Officer and co-founder, Jason is responsible for Privitar’s vision, strategy, culture and funding. He is passionate about the benefits of data to society and Privitar’s vision of building a centre of excellence around privacy engineering products. He is a serial entrepreneur who brings proven start-up and enterprise software experience to the business. Prior to founding Privitar he held global leadership roles across technology and data management at Thomson Reuters. Before that he co-founded and led the growth of data management software company, m35, up to a successful exit through sale to Thomson. Jason has a Bachelor of Business Science degree from the University of Cape Town. As Chief Technology Officer, Jason is responsible for Privitar’s research agenda, technology strategy and product development. He has spent over a decade leading teams building enterprise software to record, analyse and act in real-time upon large and complex sets of customer data. 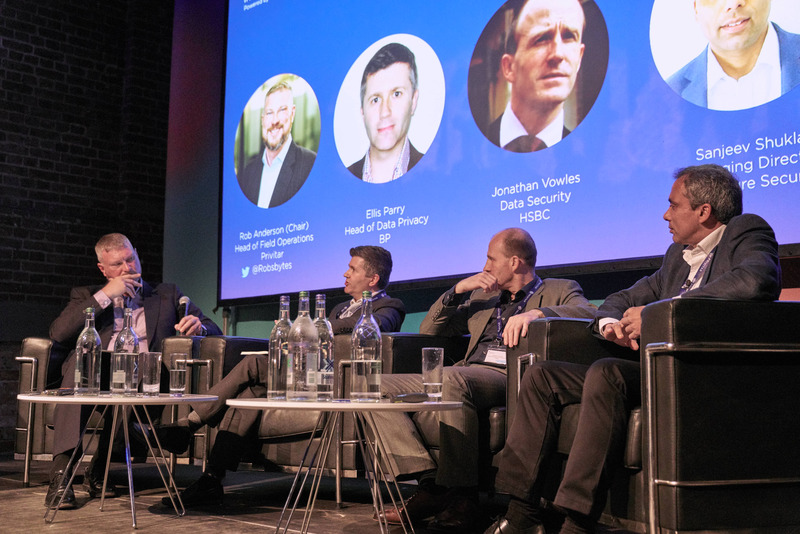 Before Privitar, Jason led the machine learning team at Touch Clarity, an online behavioural targeting company acquired by Omniture, and then was CTO of Causata, a real-time customer analytics and marketing technology company subsequently acquired by NICE systems. Jason’s early career was in particle physics, including research at Stanford University into the fine differences between matter and antimatter. He specialised in detector triggering systems, leading edge electronics and software systems that process huge volumes of data in real time to identify rare particle collisions for further analysis. Jason holds a first-class degree in Physics from Imperial College, London and a doctorate in Particle Physics from Oxford University. As Head of Field Operations, Rob is responsible for managing pre-sales consulting with customers. Prior to joining Privitar, Rob was VP of Sales Engineering at MapR Technologies, in San Jose, where he led the global technical sales teams and technical business development teams through a doubling of revenue, annually, over four years. Before that he served as Chief Technology Officer EMEA for the Isilon Storage Division of EMC Corporation. Earlier in his career, Rob held senior technical roles at Amazon and Equator Technologies. Rob holds an MSc from the Paul G. Allen School of Computer Science & Engineering at the University of Washington in Seattle, and a B.Eng in Computer Engineering from McGill University in Montreal. More assets (video, audio and presentations) to come very soon! We will upload them here below as soon as they are available. Olivier Penel - Will data privacy kill innovation? Jeni Tennison - Can we own data about us?